I first heard about MoolahSense a couple of months ago via an article over the internet, I didn't pay much attention to it as I view it as just another investment gimmick then, as my initial thought is that the "promised returns" is too good to be true. Last week, attended a local retail investor peers gathering event (click here to see how we band together there) and got the chance to meet and chat with the co-founder of MoolahSense, Lawrence Yong. After learning more from him on his background as well as the vision of this brainchild of theirs, I decided to give it a second look and hence this post. 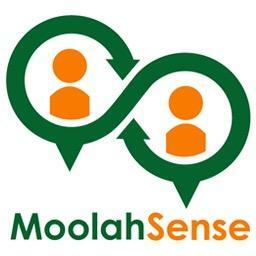 MoolahSense is a crowdfunding platform with a twist i.e. the investment element. Its bond-like investment vehicle allows potential retail investors to choose and invest in the aspiring SME businesses that need funding. The concept/business model of MoolahSense is deemed first of its kind in the local context. The appeal to the potential investors is higher rate of returns and to the businesses is getting the loan/fund that they might not be able to obtain from the banks/financial institutions. Looks like a win-win situation to me. b. Comprehensive financial information/ratios in the current and previous years, including the DP Credit Rating, which is a financial risk model that assesses the default probabilities of companies in Singapore in their MoolahCore and MoolahPeri section. c. MoolahPost - A private forum for the potential investors and businesses to thrash out any doubts or clarification. I find that this is an effective way of communication and all potential investors and view and comment further on the questions/answered raised. 2. From on the website, MoolahSense has already successfully completed/funded 4 campaigns (all oversubscribed) and currently running an active campaign for Leap Networks Pte Ltd. Seems like they are having a strong start. 3. The account registration process is kind of long and it is quite uncommon for requesting the user to provide their bank account details in the initial registration process. Also, asking for three security questions is kind of too many to handle. Having said that, the account approval turnaround time is quite fast (within 24 hour). So, feel free to explore the platform and any other alternative investment vehicle but always do your due diligent before plunging into it. Personally, I might consider to invest a small portion of my war chest on the campaigns/businesses that interest me. If you are already an investor of the MoolahSense, do feel free to comment on your experience with your investment so far. have u invest in any so far? also what are the returns like? Hi Felix : no, I've not invested anything yet. The target returns rate varied from campaign to campaign (the latest campaign of theirs is between 10 to 20%). Inspired by your chat with Lawrence the other day? I haven't joined to check out the website yet, but I feel that this is after all a higher risk investment option. Only invest money that we can afford to lose, I guess. Kevin : Yup! It is a follow-up from our earlier chat with Lawrence. Totally agree with you that it is a high risk high returns option. Im against this model. Previously met up with Lawrence the founder. Understand that their filtering and risk management process is very insufficient. DP Credit Rating does not provide any meaningful info about client's credit worthiness. No banks in Singapore are using this in deciding which company to lend. The platform is good for fundraiser but is very dangerous for retail investor as it does not provide any form of protection. Moolahsense also do not do a good job in filtering the customers. There are 2-3 out of their customers that I know is having repayment problems and has been defaulting. One of them is listed in MOM site for not paying CPF to their employees on time. From my last discussion with Lawrence, I understand that they do not have anyone experienced in credit and risk management when filtering borrowers before conducting fund raising projects. Larry : Thanks for dropping by and comment. I do agree with you on the risk part. To me, such model can only be an options for side-investment i.e. it should constitute a small portion of the portfolio, if I decided to plunge into it. Did they have any default cases? Don't seem to see that on their platform. But I can't figure how is Moolahsense making money from this. Any clues?